Rock and Roll Hall of Fame inductee and Grammy®-winning singer and songwriter Ozzy Osbourne currently in the midst of his “NO MORE TOURS 2,” has chosen Download to host his final shows in Australia! On his farewell world tour, Osbourne will celebrate more than five decades as a performer (both as a solo artist and as the lead singer of Black Sabbath which formed in 1968). These shows with his long-time collaborators Zakk Wylde (Guitar), Blasko (Bass), Tommy Clufetos (Drums) and Adam Wakeman (Keyboards) follow headlining solo dates and festival performances in North America, Mexico, South America, and Europe. 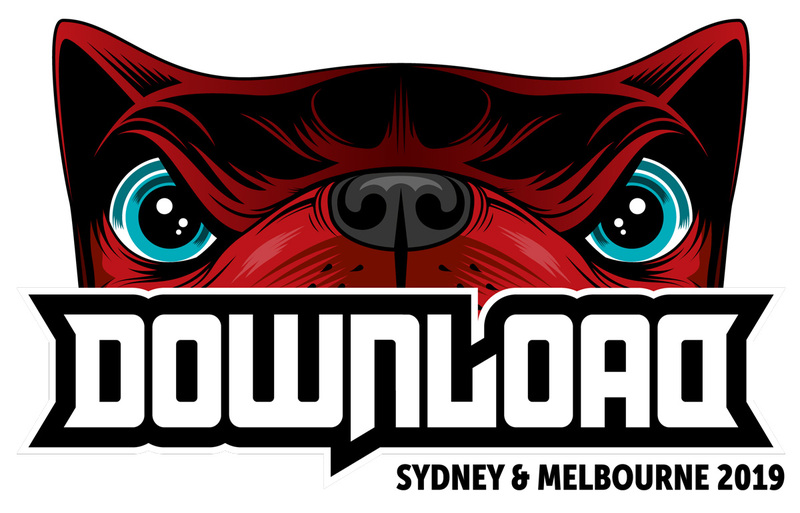 We are honored he has chosen Download to host his final show in Australia! There are few heavy metal bands that have managed to scale the heights that Judas Priest have during their 40-year career. Formed in the early ’70s in Birmingham, England, Priest were one of the first metal bands to exclusively wear leather and studs – a look that began during this era and would eventually be embraced by metal heads throughout the world. Judas Priest went on to change the face of heavy metal. A 2010 Grammy Award win for ‘Best Metal Performance, a 2017 Rock and Roll Hall of Fame nomination, the current album ‘Firepower’ released in March 2018 has become the highest ­charting album of their career plus scorching their way around the world in sell out shows on the Firepower tour has cemented the presence and influence of Judas Priest at an all-time high! Polish death metal band Behemoth are no strangers to blasphemy. Over the course of the last 27 years, they’ve pushed the boundaries of black metal and heresy alike. Behemoth has been pivotal in the establishment of the Polish extreme underground metal scene. Time and again, the government of their native Poland has charged them with various “crimes” such as tearing upBibleble onstage in 2007 and using the Polish coat of arms on a Behemoth t-shirt in 2017. We welcome their sacrilege with open arms to Download 2019! For the uninitiated, punk super-group and cover band extraordinaire Me First and the Gimme Gimmes consists of Lagwagon frontman Joey Cape on the guitar, Scott Shiflett (Face to Face), on the other guitar, Lagwagon drummer and Fat Wreck utility superhero Dave Raun on the skins, and are rounded out by Jay Bentley (Bad Religion) and incomparable crooner Spike Slawson (The Re-Volts and Uke-Hunt). Together, they are an outfit that has always operated more like a beer-hall Pussycat Dolls than a regular mortal band—contain so much hot air, so much pomp, so much attitude, that it’s a wonder that these guys can still manage to pull their five individual tour buses into the same parking lot, put their differences aside and belt out the ballads without clawing each other’s eyes out. But they do, for the love of the fans, the music, and of course, the applause. Be it Motown, Country, show tunes, Japanese Pop (sung in Japanese! ), these seasoned punk rock pros have triumphed on every occasion in a way only the Gimmes could! What could be better that Foreigner playing a live show, the answer to that is Foreigner playing a live show with a 58 piece orchestra and 60 piece choir! This amazing partnership between rock and classical marries together brilliant but really needs to be seen to be believed. With record sales exceeding 75 million the bands history speaks for itself, their hits are known worldwide, and when you add to this an orchestral arrangement it raises the bar to a whole new level. We begin by welcoming the 21st Century Symphony Orchestra and Chorus to the stage opening with a lovely Overture to get the show rolling. Foreigner take to the stage and make their presence known immediately looking sharp and sounding brilliant. Never mind that decades have passed since their journey began, they are as on point today as they were at their inception. They work their way through a two hour concert filled with hit after hit, and as the opening of Cold As Ice rings out I am up on my feet just watching it! Singer Kelly Hansen even taking to the crowd walking on chairs and high fiving fans. The crowd drawn to a standing ovation at its completion, testament to the brilliance that Foreigner brings to every live performance. The orchestra works faultlessly throughout the show, the composing/arranging team of Dave Eggar & Chuck Palmer superb, with no stone left unturned as they explore the symphonic potential of these quintessential songs. A simply stunning opening to Waiting For A Girl Like You with only violins was breathtakingly beautiful. The addition of an acoustic set slowed the pace and allowed for the orchestra and choir to shine with Say You Will a stand out. That Was Yesterday had the fans on their feet again, followed by a spectacular orchestral/choir intro to Juke Box Hero a song that never fails to give me chills. Founding member and lead guitarist Mick Jones took to the microphone to sing Starrider giving Kelly a well deserved rest. Hot Blooded had a fabulous arrangement of trombones and Urgent had the choir clapping along. Feels Like The First Time rocked up a storm and I Want To Know What Love Is was quite celestial with the accompanying choir and audience singing as one. The two hour duration of this DVD passed in what felt like minutes, it is a definite must have for any fan. If you haven’t got tickets to see Foreigner when they grace our shores later in the year, what are you waiting for, do it now!! If this DVD is even close to what we can expect you will not want to miss it. Foreigner kick off their Australian leg of the tour on October 12th in Canberra, concluding at Hamer Hall Melbourne on 30th October, complete with an 18 piece orchestra in tow so we can experience the dazzling effect of when classical and rock collide. Get on this one quick as tickets will not last long!